RebelWell is a campus and community wellness program that is designed to support employees, students, and the community as they adopt and sustain behaviors that reduce health risks, improve quality of life and enhance personal effectiveness. Wellness programs often benefit the organization’s bottom line because the employee’s quality of life is improved. RebelWell, formerly HealthWorks, also hopes to serve the university’s student population and Oxford and Lafayette communities. RebelWell promotes awareness and education, provides motivation for positive behavior changes, and influences campus practices and policy to support a healthy environment. 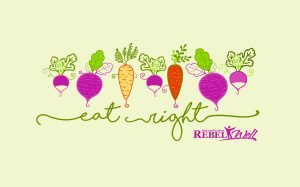 RebelWell is a collaborative partnership of campus resources with the goal of helping our community along the path to a vibrant, healthy and balanced lifestyle. Wellness is a lifestyle that encourages good physical and mental health. It’s a balanced lifestyle that includes an emphasis on the body, mind and spirit. Many of these programs are offered at no cost; however some may require nominal fees. With a generous grant from the Blue Cross Blue Shield of Mississippi Foundation, RebelWell will expand activities and offerings and incorporate the Ole Miss student population and the greater Oxford community. Together, we create a strong, healthy community and serve as a model for other communities across the country.